A US, Chinese, and German research team has come up with a new material dubbed "stanene" that could – theoretically, at least – conduct electricity with "100 percent efficiency" at temperatures at which computer chips operate, raising the tantalizing possibility of highly efficient future chippery. "Stanene could increase the speed and lower the power needs of future generations of computer chips, if our prediction is confirmed by experiments that are underway in several laboratories around the world," said research team leader Shoucheng Zhang, physics professor at Stanford University. Zhang and his team of theoretical physicists discuss their findings in a paper snappily entitled "Large-Gap Quantum Spin Hall Insulators in Tin Films", recently published in the American Physical Society's Physical Review Letters. The trick to stanene is that it is of a class of materials called "topological insulators", which conduct electricity only along the edges or surfaces of their structures, and not through their interiors. When these structures are a mere one atom thick, that electrical conduction can be 100 per cent efficient due to "complex interactions between the electrons and nuclei of heavy atoms in the materials," a Stanford press release explains. In the case of stanene, the heavy atom in question is tin, which weighs in at 118.71 atomic mass units. Zhang and his team calculate that tin alone, fabricated in a one-atom layer, could be a topological insulator at around room temperature, and that by adding fluorine atoms to the structure, the temperature could be raised to at least the boiling point of water – 100°C or 212°F. According to Zhang, if stanene pans out, it could first be used to connect various and sundry areas of a microprocessor. Conductivity would still be limited where the stanene leaves off and conventional microprocessor circuitry is reached, but there would still be an appreciable savings in power and a reduction in heat. As manufacturing processes are perfected and chip designs are refined to take advantage of stanene's properties, however, the still-theoretical material might revolutionize the microprocessor industry. "Eventually," Stanford prof Zhang said, "we can imagine stanene being used for many more circuit structures, including replacing silicon in the hearts of transistors. Someday we might even call this area Tin Valley rather than Silicon Valley." 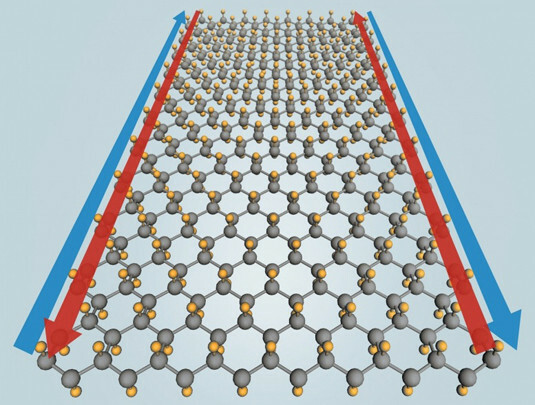 Zhang and his team say that they named stanene by combining stannum, the Latin word for tin, and "ene", borrowed from that other much-touted one atom–thick wonder material, graphene. We also suspect that they added "ene" simply because, well, it's the materials science suffix du jour.